When faced with the choice of deciding amongst properties, prospective homeowners usually ask: 'what makes this home unique?' Our agent Toni Jones has tasked herself with answering this question by highlighting some of our top listings with signature styles. Let us know how you feel about these unique features! 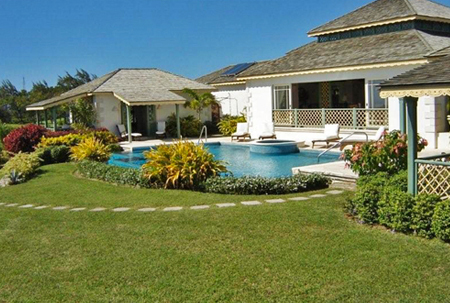 Belvedere is a sprawling 3-bedroom house situated at the summit of Britton’s Hill in the parish of St. Michael. Belvedere features a covered patio, 520 sq. ft. pool deck, luxurious swimming pool and outdoor wet bar which all make it ideal for entertaining. Yet the real show-stopper is the spectacular vista of the South Coast of Barbados…It’s a must-see! Bottlebrush, nestled amongst the natural greenery of St George, proves as intricately designed as the local fauna which surrounds it. Exterior walls are finished in resplendent yellow and island blues reminiscent of Southern Spain and Santorini, Greece. The interior of this home which boasts 6 bedrooms, 5 baths, formal entertaining areas and a media room has been painted to suit the use and desired mood of each room. Creative purple for the media room, easy greens for the baths and vibrant orange accent walls are all included in the house’s warm, island getaway inspired palette. As suggested by the name, Chukkas is a home built in perfect symphony with its idyllic location, looking out over the Lion Castle Polo Estate and Field. Situated ten minutes from the West Coast of Barbados, Chukkas has an unhindered view of the international polo matches that regularly occur, during the season at the Polo Field. Offering 4 bedrooms and an open plan layout, Chukkas combines tropical luxury, secluded privacy and a view worthy of any great spectator. Clerview Heights 65, St. James – Outdoor living anyone? This 3 bedroom, 3 bath abode located in the tranquil neighbourhood of Clerview, St. James has lofty ceilings and three outdoor patios allowing for tons of outdoor living and lounging! Very spacious and well-outfitted with landscaped gardens, Clerview is the ultimate family home. Fully restored to suit the modern buyer, Curate's House sits on an impressive elevated lot of approximately 24,926 sq. 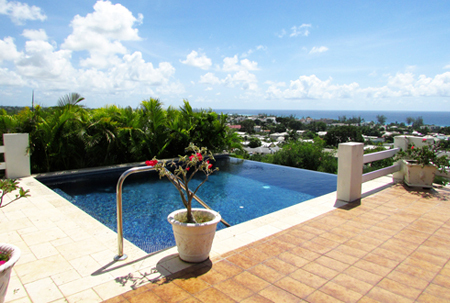 ft., overlooking the quaint town of Speightstown in Northern Barbados. An arresting view of the pristine Caribbean Sea is just one of the opulent features of this property but the crowning jewel is the hidden gem of a sub-terranean wine and spirits cellar, complete with fire-brick ovens. Maintained from the original build approximately 200 years ago, the wine cellar adds the lightest of eclectic touches to this home, creating an intricate blend of old and new…certain to please even the most discerning of buyers. 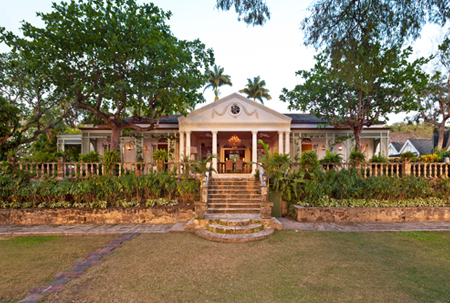 A private estate sitting on 5.5 acres of land and located east of the esteemed Sandy Lane Estate, Cockade House is an original plantation house completely refurbished by the current owners. Cockade House boasts a charming eccentricity in design owing to its total re-design in the 1970’s by the famed theatre stage designer, Oliver Messel. Surrounded by the perfectly manicured lands of Sandy Lane, Cockade House looks over a professionally laid cricket pitch and pavilion, frequently used by a local Cricket Academy. The main house retains the Palladian style of Messel’s vision, with 7 beds, 7 baths and formal entertaining areas.